Total solution paint stripper for up to 20 coats of paint in one application on exterior and interior surfaces, from brick, masonry, marine glass fiber and ornate fibrous plaster cornices, plain or carved or turned woodwork, plain and cast metal including car or aviation paint. Removes almost any type of paint and coating and is much safer and more user and environmentally friendly than Peel Away 1, as it is non caustic and doesn't burn the skin in the event of accidental contact. Peel Away 7 does not require neutralizing and can be repainted within a few hours and can be mixed with up to 20% Water. PeelAway generally covers around 1 sq m per KG. Dwell Time: 10 Min - 48 Hrs. 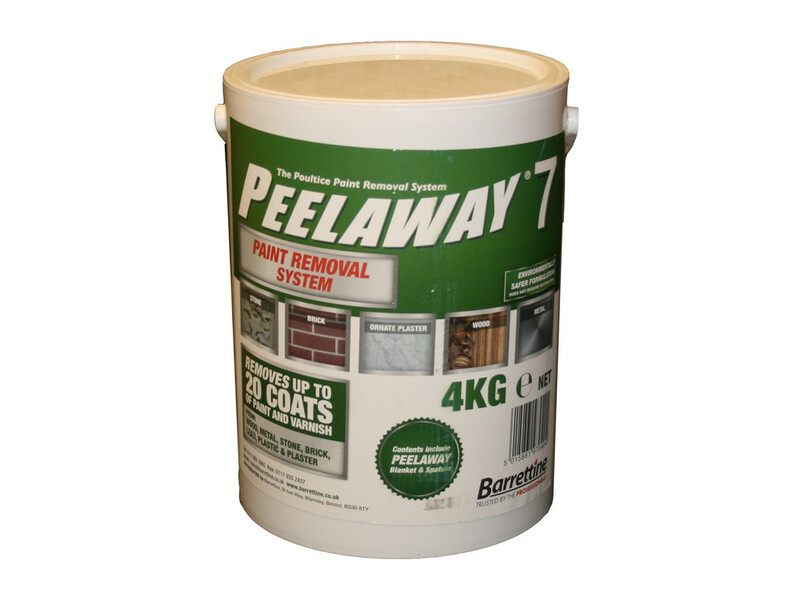 Peel Away 7 should not be used on certain plastics such as poly carbonates and perspex. 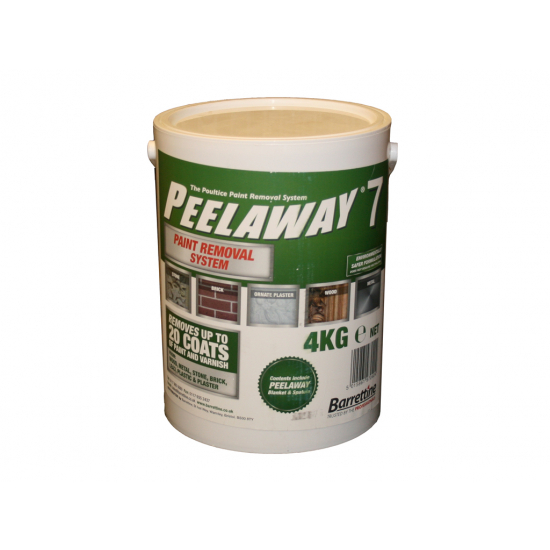 PeelAway System works by applying the paste to the area to be stripped, a special blanket made of laminated polyethylene and fibrous tissue is then laid over the paste for the required time. The paint will become emulsified, absorb onto into the paste and then dry onto the blanket. The blanket can then be removed with the paint and paste attached ready for the surface to be washed down and re-painted.